Nowadays, people are super keen about storing huge data in form of pics, videos, applications, etc. thus keeping a lot of memories to look on in future and cherish them. However, your normal phone device would not be able to store that much data for you. Also, you might want to backup data in your PC regularly. For all this, you may require a lot of space which might not be available within your PC. Thus, you need to look for additional storage. This additional storage might be in the form of external storage or internal storage. Internal Storage is a hard drive within the computer. This is the primary storage in your PC. Adding internal storage can add to space within your PC but it might be a tedious task. On the contrary, external hard drive gives you store a huge amount of data based on its storage capacity outside your PC. You can opt for the different sizes of external hard disk based on your requirement. Now that you know how hard disk shall serve you, let us know what considerations should you have before buying an external hard disk. Yes!! It has to be the foremost consideration to buy a hard disk. A normal CD or a DVD might not give you very high storage. To compensate, one can consider buying a hard disk which comes with various storage capacities like 1TB, 2TB, 4TB so on and so forth. You just need to select the hard disk as per your requirement of the space for your data. Also, remember if it’s a 2TB hard drive, the available space for storage would be a little less than 2TB as there would be some inbuilt software to install already existing on the hard drive for making it compatible with your device. That means if you want to store 2TB of data you need a hard disk of a little more than 2TB storage capacity. One should determine how securely it wants to keep the data. If the storage data is confidential, it is better to take a hard disk with data encryption software. This allows the data in the hard disk to be accessible only by the person who has the key to access this data. This is one of the factors that can be considered for the security of the data stored in the external hard disk. Here comes, three different kinds of external storage you can opt for- HDD (Hard Disk Drive), SSD (Solid-State Drive) and an SSHD (Solid State Hybrid Drive). SSDs are faster than HDD. They can process data faster than HDD. However, SSDs as compared to HDDs, are more expensive. SSD uses electrical cells to quickly send and receive data, while HDD has a stack of magnetic plates with reading needles to rightly locate the data. Thus, one should go for SSD if speed is the constraint and if the requirement is just storage one might opt for HDD with higher space. The USB cable is a connector between the PC and hard disk. The data transfer rate depends upon the connecting port. If the connecting port is USB port 3.0 it provides much greater speed. Generally, the hard disks these days come with USB port 3.0. But, they are compatible with both USB port 2.0 and 3.0. Anyone would desire a durable product and thus the strength of an external hard disk shall be considered. Also, one shall make sure the hard disk is functioning well and data stored on it is safe. If one lands up losing the stored data on the external hard disk the whole purpose of having additional storage goes in vain. There are many hard disks which comply with military grade standards. This ensures the product is highly durable. Also, portability of the hard disk shall be considered. If one desires to keep the storage device at a single place he can opt for a hefty hard disk. On the contrary, if one desires to carry the hard disk it shall be compact. Now that we know what exactly shall one consider before buying a hard disk, let us have a look at 5 best-selling hard disks in India. 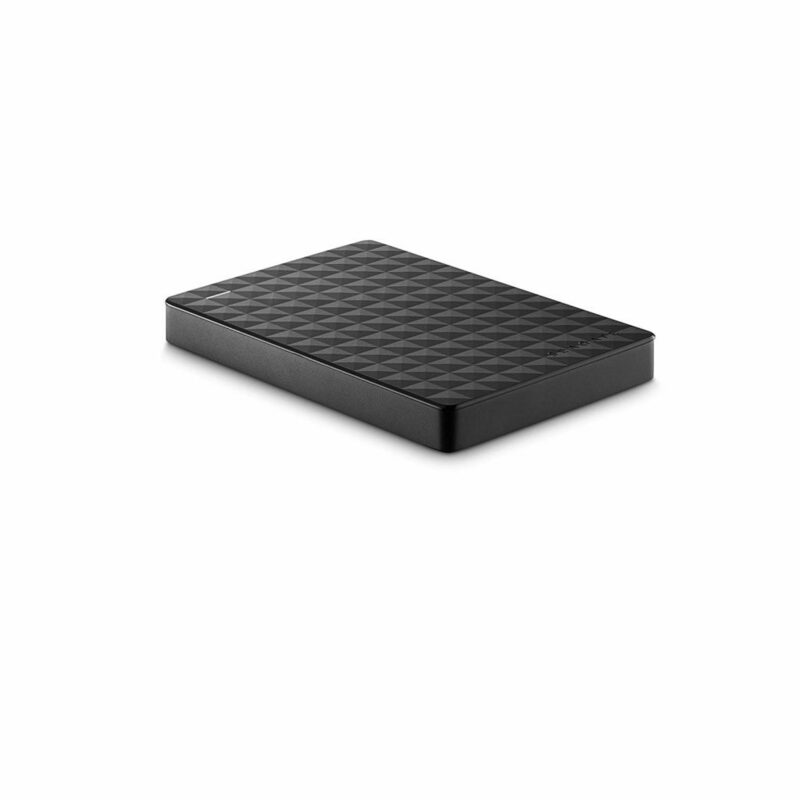 This 2TB hard disk is a massive storage device for loads and loads of your photos, videos, etc. It allows you to cherish lots of memories in future. This particular hard disk comes in amazing range of vibrant colours that matches your own unique and personal style and is super portable due to its palm fit size. 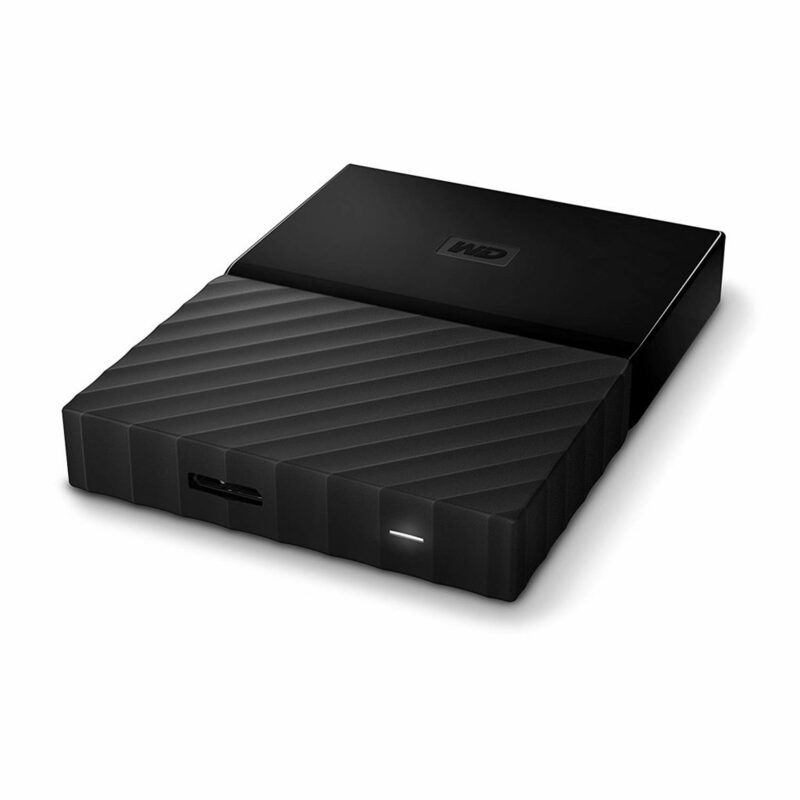 WD My Passport 2TB hard disk is unique due to its great features and is easy to use. Firstly, it can be kept password protected thus keeping all your data safe and private. Also, there is an option to automatically backup all your data just by simply connecting your PC to the hard disk. For this, you merely need to schedule the backup whether daily, weekly or monthly and when connected your data will automatically get transferred to the hard disk. The WD software in the hard disk are compatible with Windows. For Mac, the hard disk needs to be re-formatted. 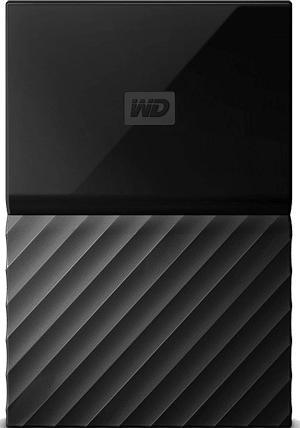 Also, this WD hard disk is durable, shock tolerant and has long-term reliability. The device comes with USB 3.0 and is compatible with both USB port 2.0 and USB port 3.0 device. Q: Which format should the hard disk be updated to use on Mac? A: HDD needs to be formatted to exFAT format. Q: Is it compatible with Linux? Seagate hard disk is one of the other best 2TB expansion. Usually, SSD’s would be recommended for gaming purposes, but if budget is the constraint, then you can definitely opt for some good HDD like this one from Seagate which adds to the space of your device, unlike any other hard disk. Not just that, it expands your Xbox One gaming experience and proves to be one of the best hard disks for gaming. You just need to connect to Xbox One USB port to immediately add storage to your console. It is quite easy and simple to use. Just plug into the device and you can start operating it without any software installation. The data transfer rate of this 2TB Seagate hard disk is around 100MB/ Second with USB 3.0 port. Not just that, it is also comparatively lighter. It comes with USB 3.0 and is compatible with both USB port 2.0 and 3.0. The matte finish gives a device a stylish look. This hard disk is compatible with both Windows and Mac. However, you need to reformat the hard disk to use it with Mac. Ensure, the data in hard disk is backed up well before reformatting. Reformatting would erase all the content in the hard disk. Q: Does this password protection? A: No, this hard disk doesn’t have password protection. Q: Can we use it for Smart TV? A: Yes, can be used with the Smart TV. 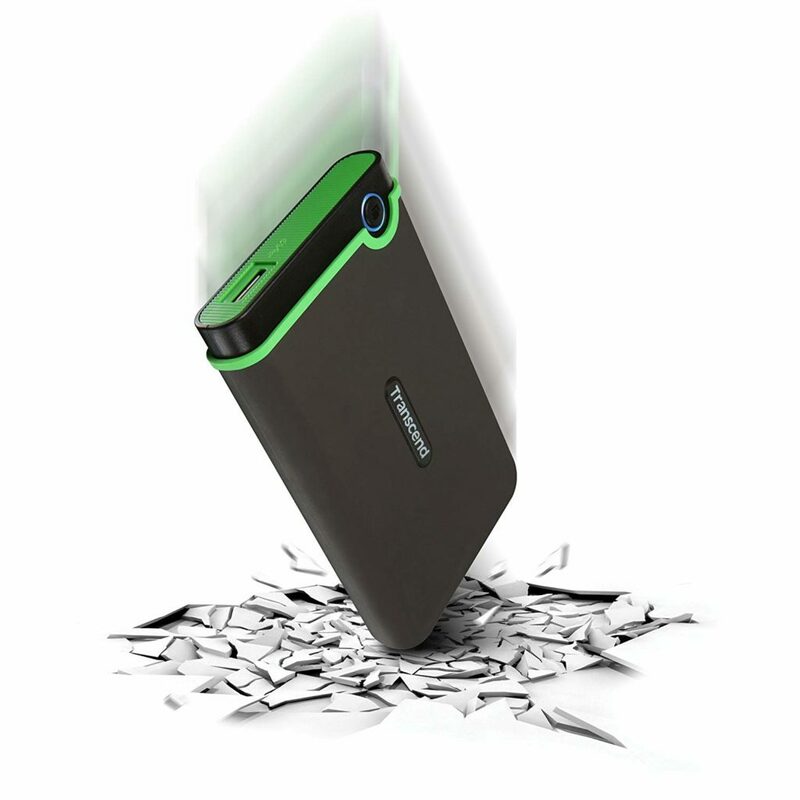 Transcend StoreJet is the best 1TB portable external hard disk due to its unique features over other hard disks. The super speed of 5GB/Sec interface with a bandwidth of USB 3.1 Gen 1 makes this hard disk simply the best. This speed allows ultra-fast transfer of files and folders. It has military- grade shock resistance which makes it strong and a durable device. Not just that, it has an advanced three-stage shock protection system and a durable anti-shock rubber outer case. The suspension system is as that of an advanced internal hard drive. Its slim form makes it very portable and also its rugged case prevents it from external damages. The hard disk comes with exclusive Transcend Elite data management software. It comes with 256-bit AES file and folder encryption. The device has a quick- reconnect button which safely re-enable the removed hard drive without unplugging and reinsertion. This button allows one touch auto backup. Q: Does it support Windows, Mac and Linux OS? A: Yes, it supports them all. 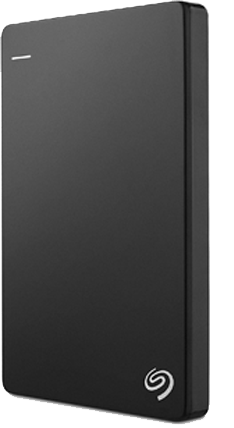 This Seagate Hard disk is a slim and sleek external hard drive with no power supply requirement. It is compatible with PlayStation 4 with PS4 system software update 4.50 or higher. It is available in multiple colours. Also, it works both on Windows and Mac without any need of reformatting on either of the two. The Seagate external hard disk as thin as 12.1 millimetres. All the photos, videos and movies can be backed up in the hard disk. Not just that all the photos shared on Flickr, Facebook and Youtube gets backed up. It’s just about running one-click backup or scheduling an automatic backup plan to secure your data. The USB port 3.0 and 2.0 connectivity provides you with plugging and immediately starting the functioning of the hard disk. Also, there is no need for external power supply. The data transfer rate is 625MB/sec. Q: Can it be connected permanently without removing due to heat issues? A: Yes, provided it is kept in a properly ventilated place. Q: Can it be password protected? A: Yes, only if encryption software purchased separately. 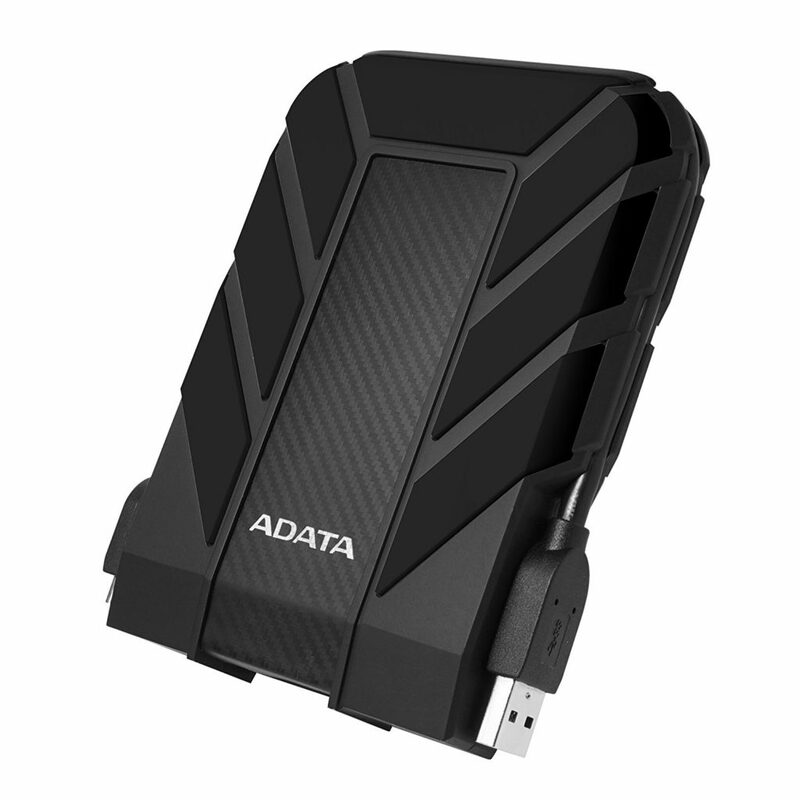 ADATA HD710 Pro is one of the other best 1TB external hard drives. This device comes with unique features. Firstly, it is waterproof and dustproof external hard disk. Also, the special rubber material case with textured carbon fibre makes it a quite durable product. The device is made up of unique silicone material and complies with military-grade shockproof and waterproof standards and has been tested for these characteristics. For instance, the hard disk was submerged in its storage stage in 1.5meter deep water for up to 60 minutes and stayed unharmed. ADATA hard disk gives an amazing speed in the toughest conditions with USB port 3.0. The USB cable is tucked and wrapped around the hard disk which gives an elegant storage solution to the users. The blue LED light indicator shines through the enclosure to indicate power and data transfer status. The hard disk is available in multiple colours. Q: Is it plug and play type? Q: Is it compatible with Mac? A: Yes, with Mac OS X 10.6 and later. Every new day, a new model of a hard disk is launched. The external hard disks are coming with higher storage space than ever before. With a few simple thoughts on your requirements like the storage space, speed requirements (HDD vs SSD), portability etc… we are sure that you can easily shortlist the best option for you from the above mentioned 5 products. Other than the above 5, do you know any other good hard disk, if yes, then please share it in the comment below and help the community!! These hard drives are very good for their price. I have around 2 hard drives, 1 and 1.5 TB both are from Seagate. I have been using it since three months and haven’t face any issues till now. If you are worried about the corruption of your data, I can vouch for that. Your data is safe and secure. And yeah, these are pretty perfect products, will work sound. I was searching to look for other pendrives, when i got this article. Thanks for it. 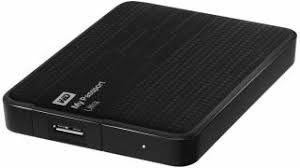 We are glad that you find this article about portable external hard disks in India. Stay tuned to get more such articles. Thank you.